Got Skills? We Salute You! Flying low over unpredictable terrains and crazy obstacles like blades and fire rings will challenge you to the max. Get rewarded with new planes and add-ons as your skills progress to the next level and you rise through the ranks. Show off your plane with cool fun stickers and other decorations. Excel in Altitude0, your achievements and results will be immortalized through numerous Hall of Fame rankings. Join real racers’ club! It’s been a while since the last major update to Altitude0 and this time the focus was gameplay. – Other than time race where goal is to be ahead, we added item collecting mode (collect thumbs up items), where goal is to collect as many items as you can in a limited amount of time. Another addition is checkpoint mode where time pressure makes flying even harder; check out track ‘Mountain High’. – Race rules: every race your must fulfill a certain task for result to count, otherwise pilot is considered disqualified. – Achievements: extra tasks that change depending on your current status. Achievements also bring rewards, like extra tracks and other goodies. 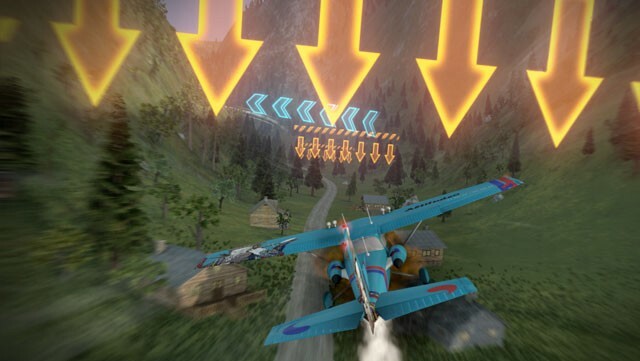 – Acrobatic points: game will reward players that can fly daringly: low flying, knife edge, rolls, loops, dives, etc. – License mode: goal is to improve your pilot status. Advance your pilot license by collecting license achievements, racing points and completing different challenges to get ahead. 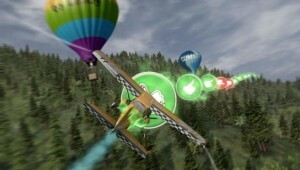 – Racing level: as you complete races, you collect racing points and improve your racing level. This feature is a real biggie for us developers and for now still in the testing stage. We want to make it available very soon and hopefully you can join us for testing. A small crowd as we start and then hopefully more players will join us as we open the game to wider audience. If you’d like to be there at the start then please visit our online forum for more info. 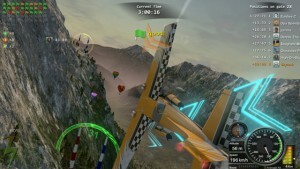 As mentioned above, we opened an online forum, currently for beta testers only (check www.altitude0.com). You are welcome to visit it and express your opinion, ideas and let us know about Altitude0 bugs. Also we will start online multiplayer there, so do join. Another small notice and apology: we changed racing rules quite a lot and therefore had to recalculate player racing points based on new rules. Also track’s best ever times are gone so our apologies to certain flying aces 😉 Feel free to reconquer the rankings. Thank you for playing Altitude0. We have second Altitude0 beta version ready. This is still a closed beta version. If you have already downloaded the game before, you can simply start the launcher, which will take care of automatic update as long as you allow it to go online. If you haven’t created an online account, please do so. That way your achievements and replays are going to be recorded. We made some adjustments and fixes to plane physics: throttle was implemented properly. Manual rudder was also added with professional controls. 2. A tutorial track was added. It will explain how to maneuver the plane step by step. We made a few adjustments to graphic quality control, which will help better support different computer configurations. – Some game rules have been changed. – Info cat will give tips on how to fly and game rules. – Packed game got smaller. If you have some problems or questions about the game, please let us know via our facebook (http://www.facebook.com/altitude0) or email (info@altitude0.com). Otherwise, whoever is interested in testing, please join us. Thank you for playing A0 and helping us improve it. Altitude0 developers wish you all the best in 2013! Check out our burning greeting card. We have first update ready since Altitude0 beta testing started. We implemented simple (standard) controls other than the professional ones. It should be easier for most players to play Altitude0. 3. A quick track was added. You can start racing easier before you can advance to the longer tracks. Now each track has different difficulty level. Graphic quality control will help better support different computer configurations. Try out simple but useful benchmark tool in the Altitude0 Launcher under Settings menu. It will help you quickly find out how well your computer can handle Altitude0. Some game rules have been changed and plane adjustments were made. If you haven’t created an online account, please do so. That way your replays are going to be automatically shared with others. There are some small fixes which still need to be done, but this version should be quite playable. More features will be added before the game goes to open beta. As more updates are available, we will let you know. Thank you for trying A0 and helping us improve it.